Ever set out to do something, and know that you have set way too high expectations for yourself, but you try to do it anyway? On July 31st, we left our home in Southern California for vacation. It was supposed to be a 2 week trip. We drove to visit family and friends in Kentucky and Tennessee first. That’s where I was reunited with Karen, Emily, and Judye for the first time in over 15 years along with everyone else that I love and miss dearly in my hometown. 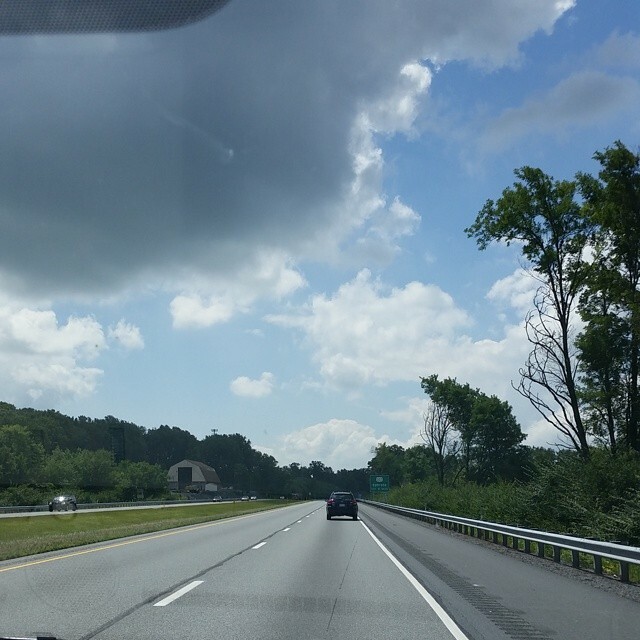 After 5 days there, we drove up to where our family will be moving in a few months, Pennsylvania. We were supposed to spend about a week there. This is where I laugh. Because that was my plan, but not God’s plan. We were in Pennsylvania for 4 weeks. When you add our week traveling before that, we were away from home for 5 weeks. Thank goodness I over packed! My husband’s employers took really good care of us and made it a very enjoyable time. I almost didn’t want to come home, except we kind of need to pack so we can move there permanently. I cannot wait to return. During all of this, I did not have steady internet let alone time to tend to the blog. In the beginning I really tried. I thought I’d be able to keep up. After the 3rd week, I realized it just wasn’t going to happen and gave up. I truly believe that God allowed for our trip to be so long and undistracted so that I would fall in love with the area we are moving to. While on this trip, there were a lot of little discussions that led to one big decision. For some time, we have attempted to monetize this blog. Keyword: Attempted. I’ve read books, gone to conferences, taken online classes, etc. on how to monetize a blog to the point that it was weird that Raising Sticky Hands To Heaven wasn’t making more than a couple of dollars every few months. Now, in my heart I knew it was because God never intended for there to be a profit, but we didn’t want a profit. We just wanted to cover the costs of the blog itself, so I thought what we were doing was okay. Now, I am not saying that ministry blogs should not be monetizing. I am saying that for whatever reason, that was not what God wanted here. One day God’s voice came across loud and clear that monetization would have to stop. It was only a few minutes after that a very kind and generous person unexpectedly committed themselves to covering our yearly blog costs. Thank you, Jesus and person who I shall keep anonymous! THANK YOU! This means no more ads. No more affiliate links. No more of me stressing over if I sound like a late night infomercial pitchman because it does not come to me naturally. YAY for you, YAY for me! 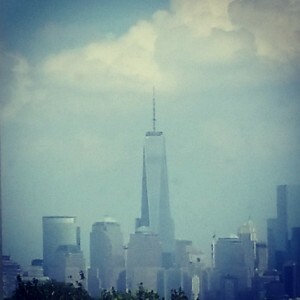 We took a day trip to New Jersey for a few short hours one day, where I was able to snap this zoomed in shot of the Freedom Tower in New York City. No photograph or video I have ever seen does it justice. We have so much going on behind the scenes at the moment that I feel like my head is spinning just trying to think of a way to tell you all without giving too much away. So be sure to follow us in one way or another so that you don’t miss out on anything. Email, RSS, Facebook, Twitter, Instagram, etc etc etc… And remember, we are always available to pray with/for you, so never hesitate to ask.